Here we are again with new magazine and our TOP 10. 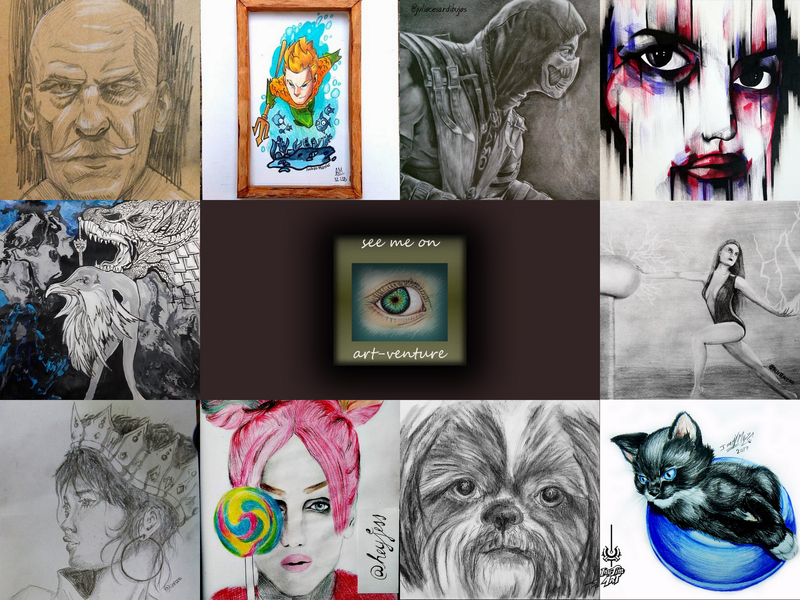 As always we wanted to draw your attention to those Artists who decided to dedicate their skills and create their works for Steemit, the Visual Art is something that brings Emotions, Inspiration, Beauty and just make some people speechless, make them wonder how it is possible to do it with their hands and spend many hours or sometimes days to do their work. As always there are many high quality pencil works that sometimes people think is easy to create but this is difficult medium that takes much time and patience, here are two of them one is portrait of Queen done by @gooze and of course @juliocesardraw with his stunning drawings of Scorpion. Also we could not leave cute pets such dog and cat by @bdmillergallery and @inu-jum.